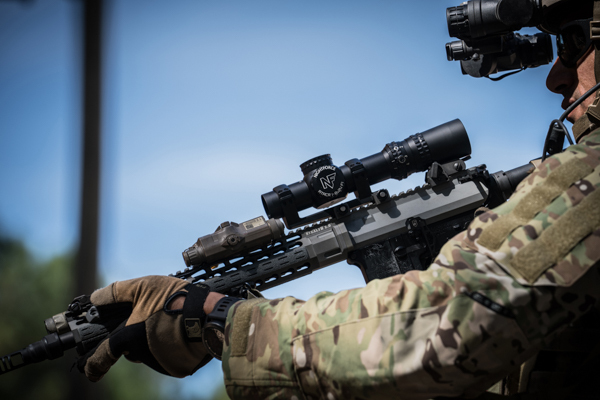 Nightforce Optics ATACR (Advanced Tactical Rifle) 1-8X First Focal Plain Tactical Riflescope Wins USSOCOM Squad-Variable Powered Scopes (S-VPS)-Contract! | DefenseReview.com (DR): An online tactical technology and military defense technology magazine with particular focus on the latest and greatest tactical firearms news (tactical gun news), tactical gear news and tactical shooting news. DefenseReview (DR) discussed the new contract with DR writer/contributor Jeff Gurwitch to get his thoughts on it, and he likes it. DR and Gurwitch agreed that a first focal plain aka front focal plane 1-8x scope with a good combat reticle is an excellent way to go, and that Nightforce makes a good product. So, we’re on board. That said, we’re VERY interested to see the actual BDC reticle. Hopefully it works well on moving targets. We’ll see. Defense Review will try to get some some more info on the reticle, and some actual photos of the Squad-Variable Powered Scope (S-VPS)-variant ATACR riflescope, itself, and post a follow-up piece on it. Hat tip to Solder Systems Daily (SSD) for alerting us to this one. Nice get. 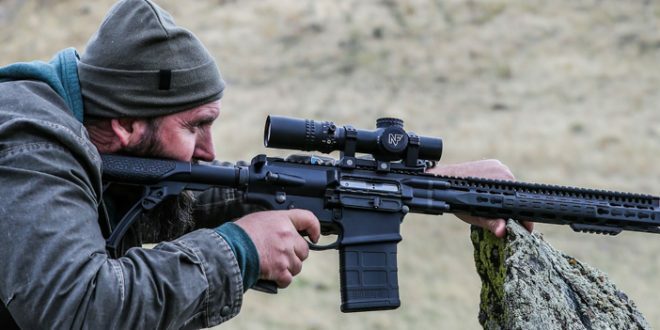 Remington 2020 Digital Optic System (DOS) Smart Scope: How Does it Compare to the TrackingPoint XactSystem Precision Guided Firearm (PGF) Scope? Previous: ATS Tactical Gear Low Level Clothing System: Scalable, Modular Ultra Lo-Pro/Lo-Vis Tactical Armor Shirt Plate Carrier System for Dynamic CQB and PSD Ops! Next: Laugo Arms Alien 9mm Combat/Tactical Pistol: Delayed-Blowback Gas Piston and Slide Operate ABOVE the (Fixed) Barrel, Providing Ultra-Low Bore Axis!